This January has been mild and calm, after the storms of New Year. Some perfect early spring days have been interspersed with a few dull and rainy days, but on the whole the weather has been delightful. The first of the orchids appears in January and I was lucky enough to find it again this year growing between Elounda and Aghios Nikolaos well worth the scramble to photograph it! 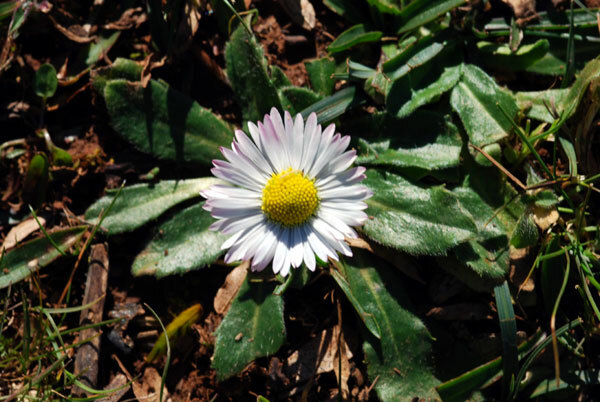 Bellis perennis - The common Daisy is one of the first to flower in January. This one was blooming on the pastures below Karfi and was a cheerful sight on a chill winter morning. 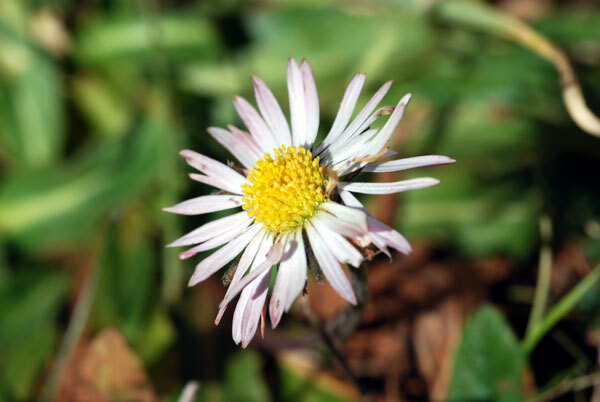 Bellis sylvestris - (Southern Daisy) - this daisy starts to flower in autumn, when there are no other daisies in bloom. It’s heads are born are long stems and it is found in meadows and olive groves. This specimen was found just under the peak sanctuary at Karfi. 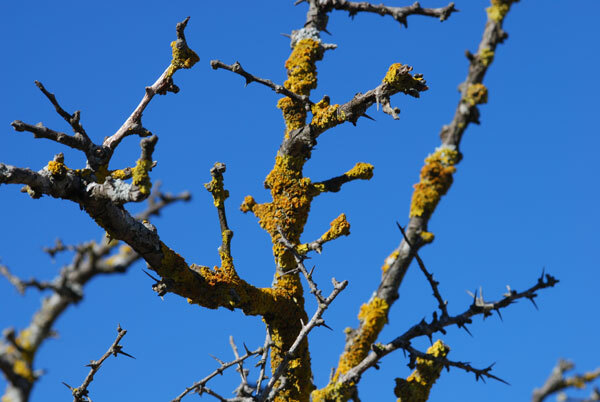 Xanthonia polycarpa - identification of this lichen has now been satisfactorily supplied by Hans de Vries in Holland - a good friend and fellow artist. Hans' botanical drawings are quite incredible. Anemone hortensis ssp. 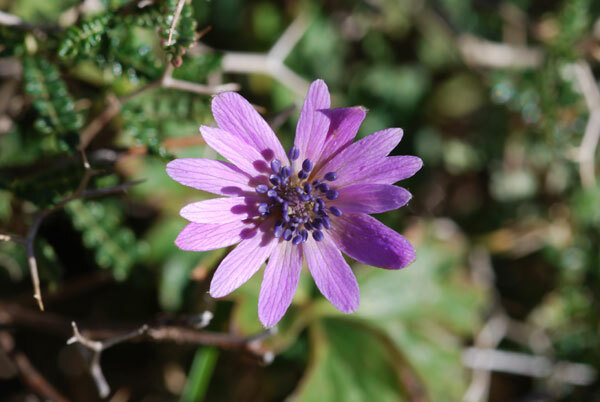 heldreichii - This attractive anemone is endemic to Crete and Karpathos and can be found growing across the island. Its colours range from purple through to white and a pink variety can be found in the east, although it is not so common. Euphorbia characias - I find the Euphorbia difficult to identify, but I loved the crisp light on the leaves of this example which was growing from a cleft in the rocks. Romulea bulbocodium - The field where I photographed this Romulea was covered with its bright star like flowers. I only found the white variety at this site, but the purple with a yellow throat is one of my favourite flowers. The contrast in colours is startling and fascinating. The white is nonetheless attractive and when found growing in large numbers makes a heartening sight. 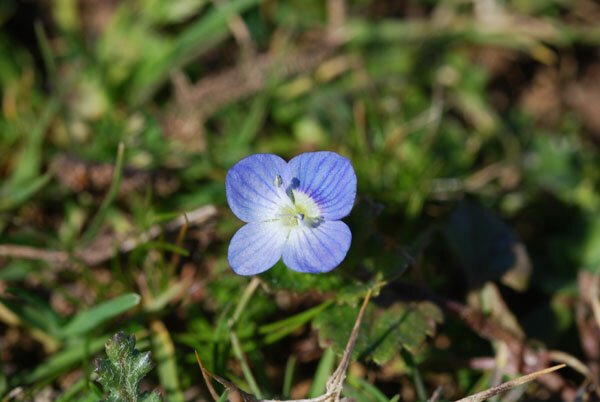 Veronica persica - The Persian Speedwell can be found growing around the island, often close to cultivation. It is a small delicate flower with petals of the richest azure blue. 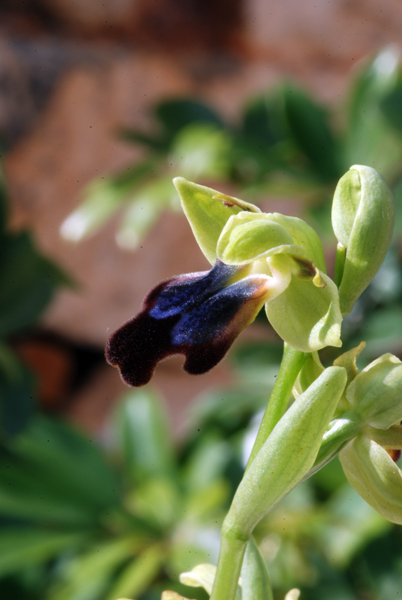 Ophrys mesaritica - A rare endemic orchid mainly found on the Mesara Plain. 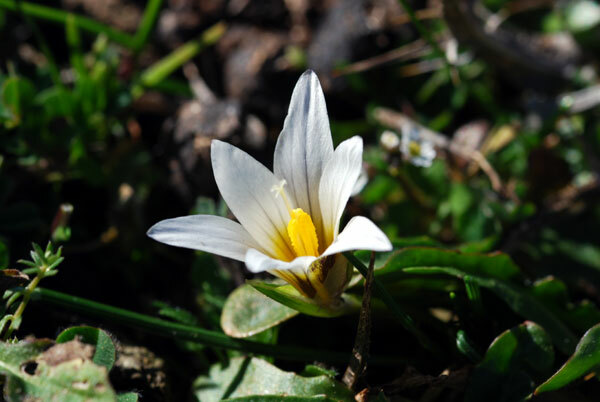 This example, however, was found in the Aghios Nikolaos area in bloom in early January. As can be seen from the photograph, the blazon is a brilliant blue which becomes iridescent in the sunshine. Finding this species again this year really made my day and I couldn’t wait to get home and look at my images. 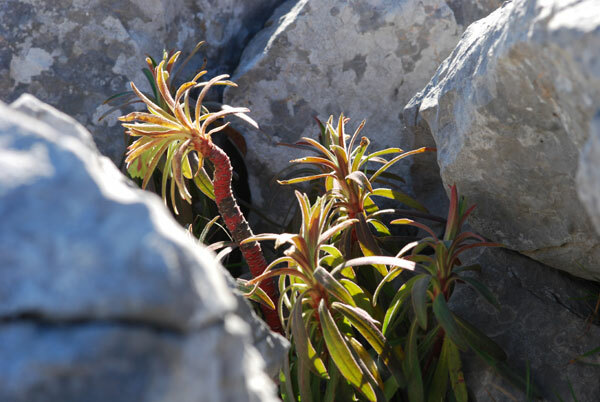 It is similar to O. iricolour, but has a green to brownish green under lip and its flowering period is much earlier.